Hello global warming! The weather has been so inconsistent in the past couple of weeks with snow, heat waves, thunderstorms... but hot summer days are here (or at least they're coming), so it's important to add some extra SPF into your beauty routine. It's really important to wear a sunscreen all year round, but it's especially imperative when you're under the hot sun. I'm sure you've heard it a million times... Sunscreen prevents brown spots, wrinkles, and many other skin issues. I often add a separate layer of sunscreen because the majority of face creams have minimal SPF protection. It's important not to layer SPF, though. 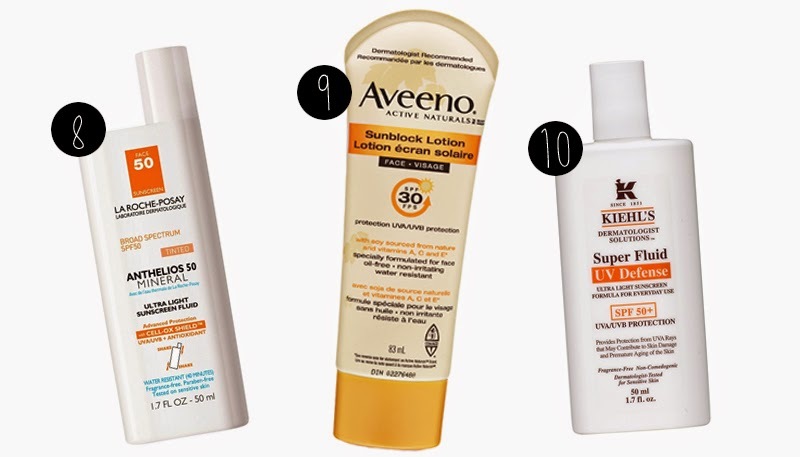 If you're already using a product with SPF built in, don't another sunscreen over it. It may actually degrade the SPF & offer less protection. I don't use anything under an SPF 30. Anything higher than that isn't really more beneficial, but it doesn't hurt. Really, the key is to reapply. I also prefer physical sunscreens over chemical ones. My skin sometimes get irritated from the latter. Don't know the difference? 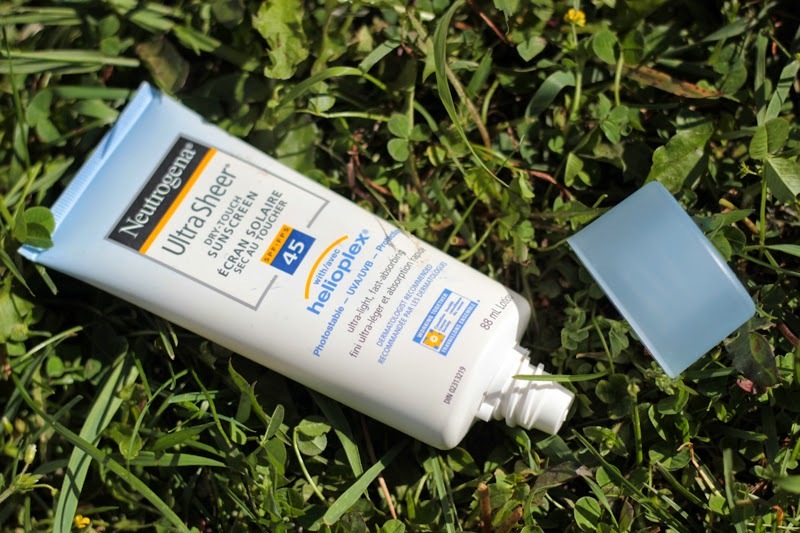 Physical sunscreens contain Titanium Dioxide and Zinc Oxide, chemical sunscreens don't. If you want a more in depth comparison, you should check out this helpful post from Skinacea. 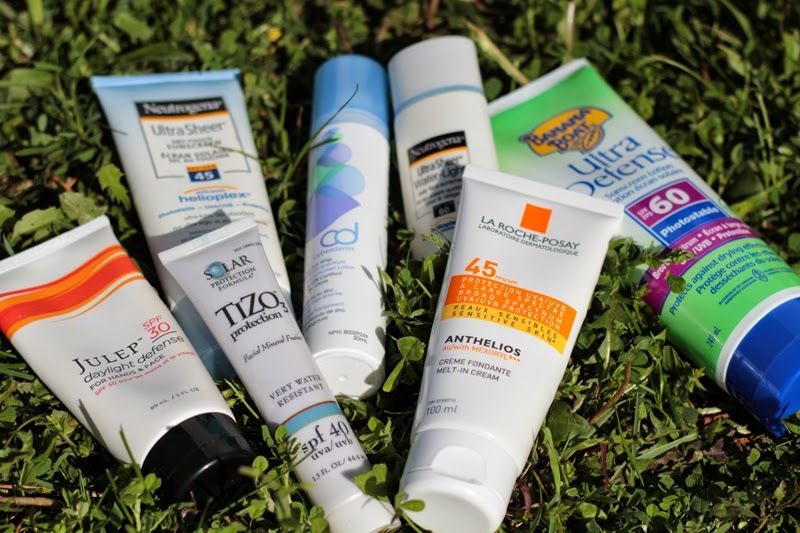 Here are some sunscreens I have on rotation & a few worth a mention. This sunscreen is made for hands and face. While I don't really use this on my face, I do use it for my hands. It's quite moisturizing, non-greasy, and it has a slight citrusy scent. 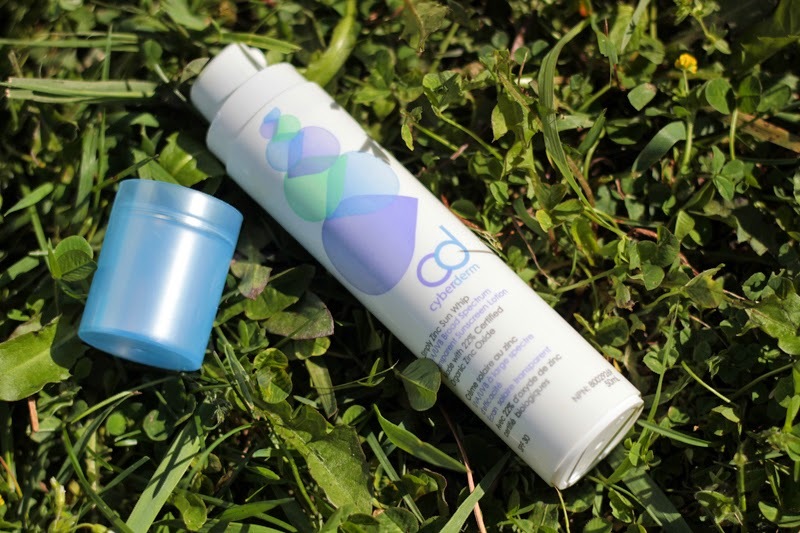 It's a physical sunscren, which contains no parabens or sulfates. 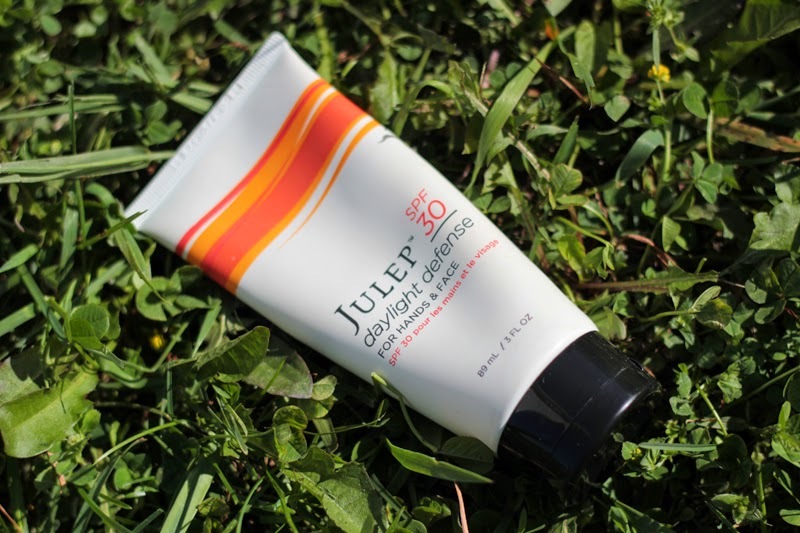 A great face sunscreen. It has an interesting consistency -- almost like a thick mousse. It felt a little heavy at first, but it's indiscernible once it absorbs into the skin. It's comfortable to wear and it works well under makeup. 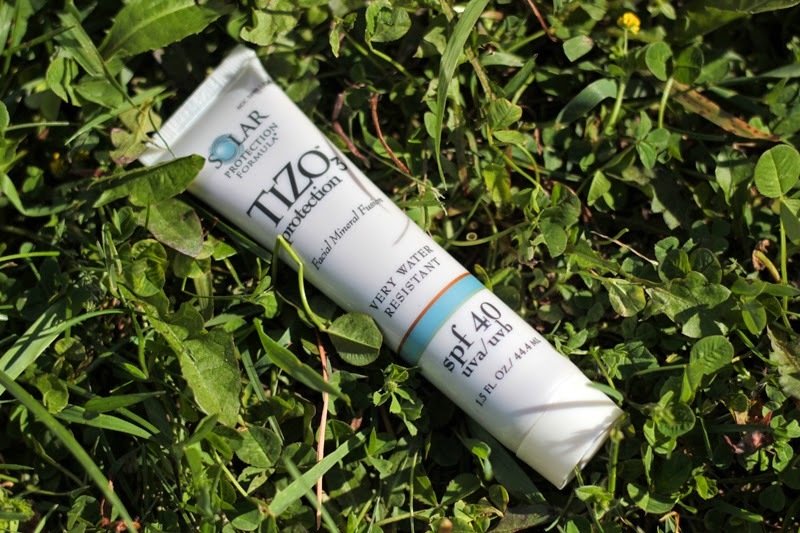 This is another physical sunscreen & it contains 22% organic zinc oxide (the highest concentration out of the bunch, I think). A light everyday sunscreen. It has a watery consistency. It's one of those products that you have to shake really well before use. It spreads easily and absorbs quickly into the skin. Works well alone or under makeup. This is a chemical sunscreen, so it's great for flash photography. This is the most unique sunscreen I have used. It has a silicone consistency (similar to the Smashbox Photo Finish Primer) and it feels silky to the touch. I also really like that it's tinted. It blends beautifully into the skin (the tint isn't overwhelming & looks natural on the skin). Contains zero dyes, oils, or fragrance. This is something I picked up from my Derm, but keep reading for something similar from the drugstore. This is a physical sunscreen. This has been my favourite for a couple of years now. I love the melt-in cream because of the consistency. It feels more like a lotion & it's quite moisturizing on the skin. It does leave a dewy finish, but I always set my makeup with a powder. This is a physical sunscreen. This is currently my go-to sunscreen for the body. One of my favourite things is that it feels like a lotion. It's light, creamy, moisturizing, and non-greasy. It absorbs quickly in the skin and doesn't leave a weird film. This is a chemical sunscreen. Another quick drying sunscreen. It's a lightweight cream and non-sticky. It has a slightly mattified finish & it's light enough to use on the face or body. I like carrying this around in my bag for touch ups. This is a chemical sunscreen. I haven't personally seen this in stores yet, but it sounds lovely. I really like the original LRP Ultra-light sunscreen, but the fact that this is tinted makes it even better. Often sunscreen is all you want during those hot summer days, so this is perfect. It's like a beefed up tinted moisturizer. I used this sunscreen for many years. 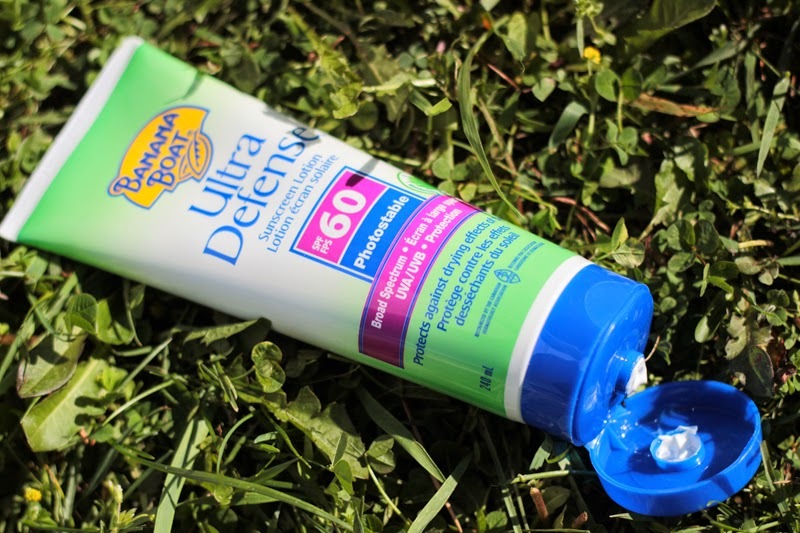 It's one of the few sunscreens that I felt actually made my skin look & feel better after use. It's lightweight & leaves a slightly dewy finish to the skin. 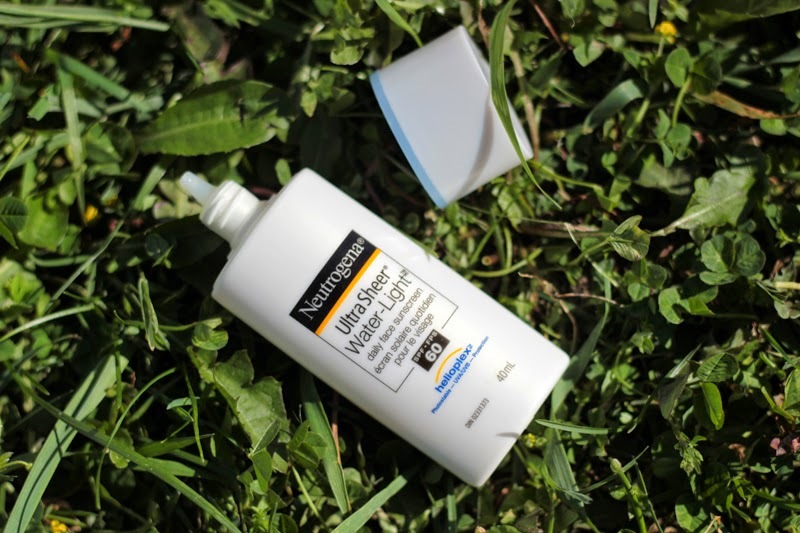 This is another lightweight sunscreen with a watery consistency. It's similar to LRP and Neutrogena, but it's fragrance free & contains ingredients that are beneficial for the skin. Thanks for this post! I am obsessed with sun protection. I currently use the Neutrogena waterlight in 60 for my face, and either Neutrogena or SunThera3 (Shoppers brand) for body, but I have a Biotherm and a LRP waiting in the wings. The Cyberderm and the melt-in LRP both look very interesting. I haven't used a chemical sunscreen in a long time. Im kind of scared to use sunscreen on the face.. the ones I have used have either made me super oily or break out. I tried the neutrogena helioplex one, and the aveeno. Maybe, I should try looking at a physical sunscreen. Thanks for the info! I didnt know there was a difference. try freezing! It was so freaking cold today! I'm currently using Elta MD's UV Shield SPF 45 and i really like it. It's perfect to use under makeup. I love Neutrogena sunscreen. This is a great post! I've used the La Roche Posay one before it's really good! I use a clinique one at the moment but I want to give Neutrogena a try too, I've heard good things. I also recently read that anything above spf 30 really doesn't add anything and personally I've found that it really is the reapplying that does the trick! Great post and reminder that the sun is active all year round. As I have had skin cancer (basal cell on nose resulting in resected nose) I know the importance of wearing sunscreen year round. 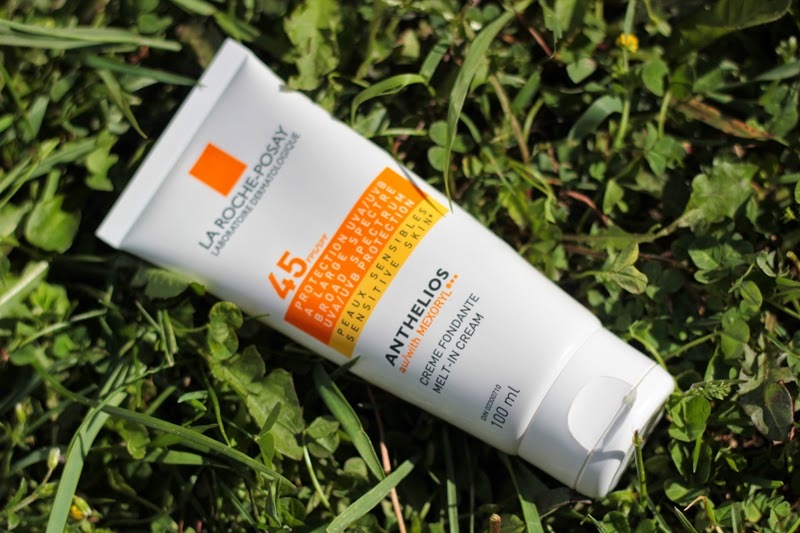 I have tried many of the products mentioned by think I will be trying La Roche-Posay Anthelios Melt In Cream and Cyberderm Simply Zinc Sun Whip (does this come in SPF higher than 30?) Thanks for advising re new option, I appreciate it.